This is a fantastic natural amethyst geode cave (also known as cathedrals or churches). 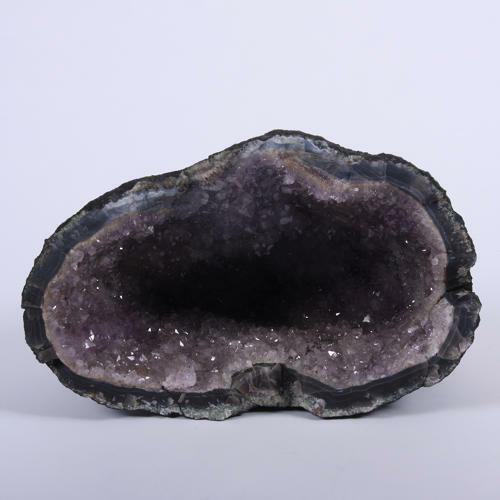 Geodes are rocks that seem plain on the outside but when opened reveal a cavity in the middle filled with beautiful crystals. The general scientific consensus is that amethyst geodes are created in a two-step process. First, there's the formation of the cavity and then the formation of the crystals.